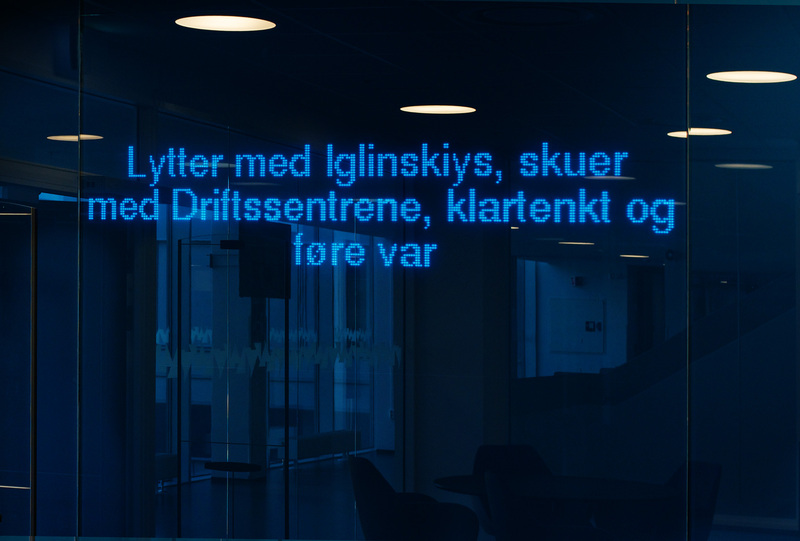 Generated text on LED display. 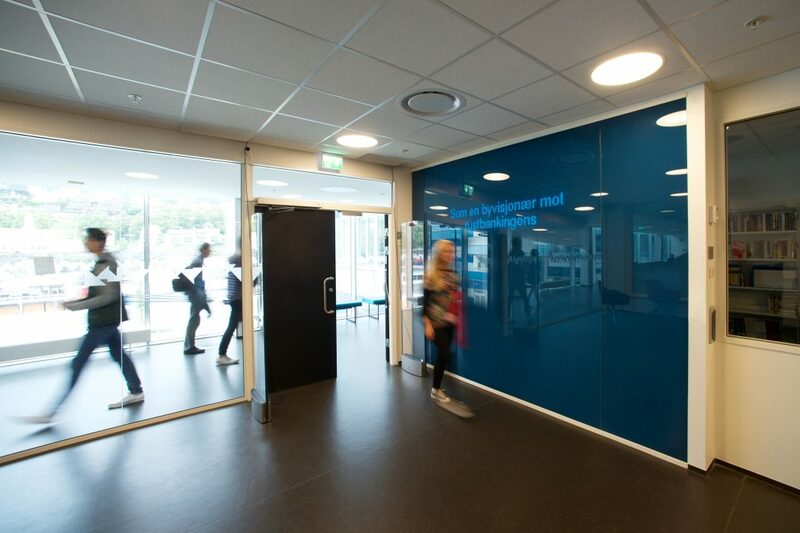 Permanent installation, Amalie Skram Upper Secondary School, Bergen. Commissioned by Hordaland County Municipality. 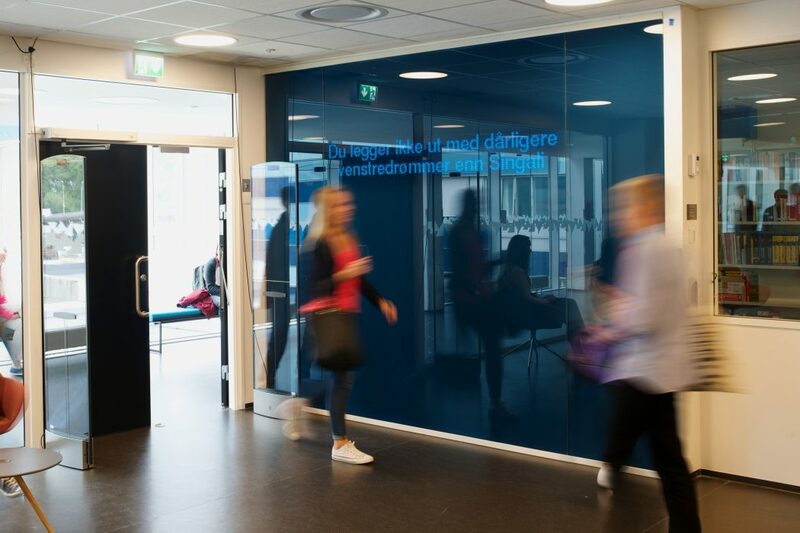 Inskripsjon is a permanent installation in the library at Amalie Skram upper secondary school. A text, displayed on a LED screen through a glass wall, is generated by an algorithm and replaced once a day. The texts consist of short sentences in Norwegian, and are based on language patterns from various Norse sayings and words of wisdom, where the actual words are exchanged with words from Norwegian newspapers published the same day. The syntax is thus more or less recognizable words of wisdom, while the meaning content is replaced.Although the sentences generated may appear to be nonsense, words from current affairs can often be identified. The sentences are based on statistics of new words and the most commonly used words in Norwegian newspapers at all times.